​Liverpool manager Jurgen Klopp has refused to get carried away with talk about his side potentially winning the Premier League title following their ​5-1 win over Arsenal. The Gunners took the lead in the 11th minute through Ainsley Maitland-Niles, however a Roberto Firmino hat-trick and goals from Sadio Mane and Mohamed Salah ensured the Reds maintained their unbeaten start to the season. The win also extended ​Liverpool's lead at the top to nine points, although Klopp has insisted his side have won nothing yet despite their current points tally, especially with their next game being against title rivals ​Manchester City at the Etihad Stadium. Speaking post-match to ​Sky Sports, he said: "I would really love that we switch and you all come here and I come there. In our case, by the way, tomorrow it will be seven and when we play against Man City it could be four. It's possible. "I'm not the smartest person in the world but I'm really not an idiot - not always, at least. It's absolutely not important how many points you are ahead in December, even in the end of December." 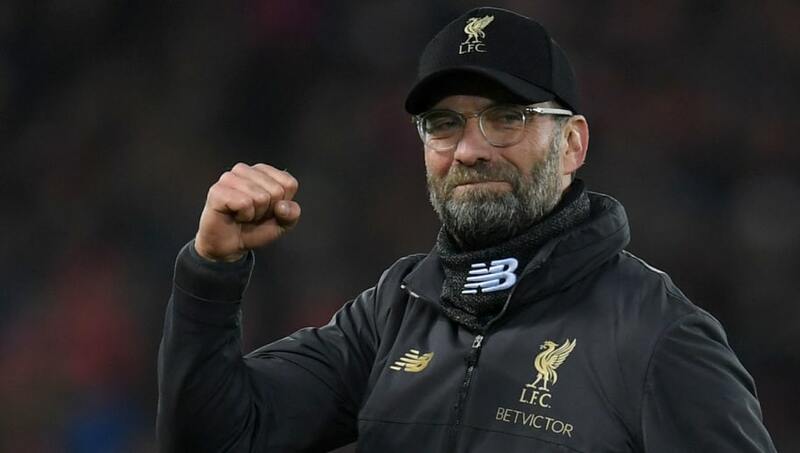 Liverpool were handed a boost before their game when Tottenham suffered a surprise defeat to Wolves to give the Reds the chance to extend their lead further, but Klopp insisted the result beforehand didn't alter preparations for the ​Arsenal game. He added: "Before the game we heard because it was on all the screens about the result of Tottenham. Did you think the party started already? I didn't see a smile on any faces in the dressing room. Just see it [the result] and then go on. "In the moment it feels like a marathon what we are running. Before the marathon: the weather is brilliant, new trainers, new shirt, new everything. "The people say, 'You will win today' but first I have to run. The people all around us are buzzing and one guy has to run. We have to run. That's what we try as good as possible."